For more in formation about this error, click here. What does this error message mean? That means the printer spooler services has stooped due to any printer driver malfunction or in the case you share a printer over LAN on Local Network. In most cases this problem arises, if you have a Local Network Printer, when you access the shared printer from the computer connected through LAN and open printers and faxes the message will appear and at that time you could not able to print any documents. 1) Go to any computer on your Local Network on which you have installed a shared printer. In between if your printer spooler stooped working, then go to SERVICES.MSC and start Printer Spooler and delete the printer. 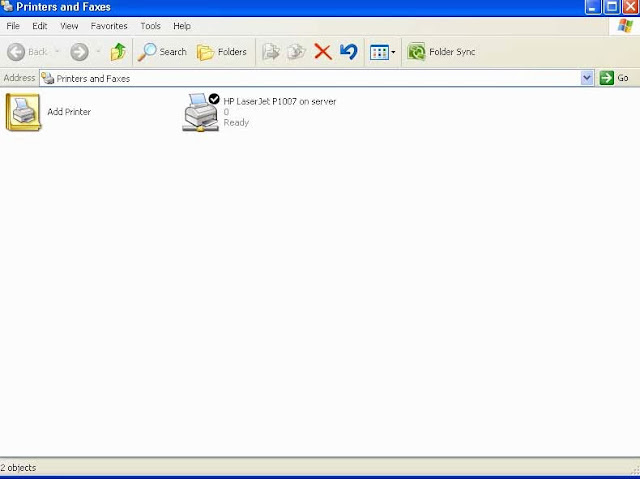 5) Now install the printer on the computer by accessing the main computer where the local printer attached. 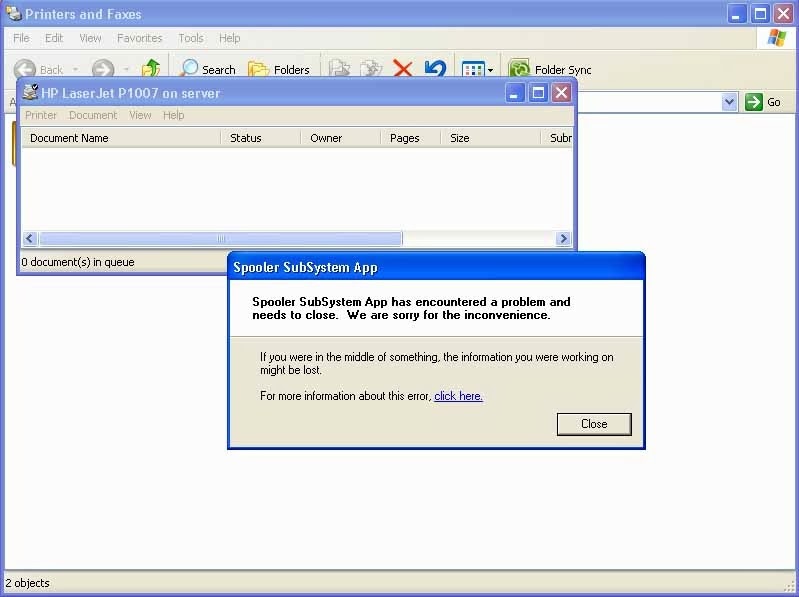 Shared printer Spooler Error on Windows XP Solved !!!!! 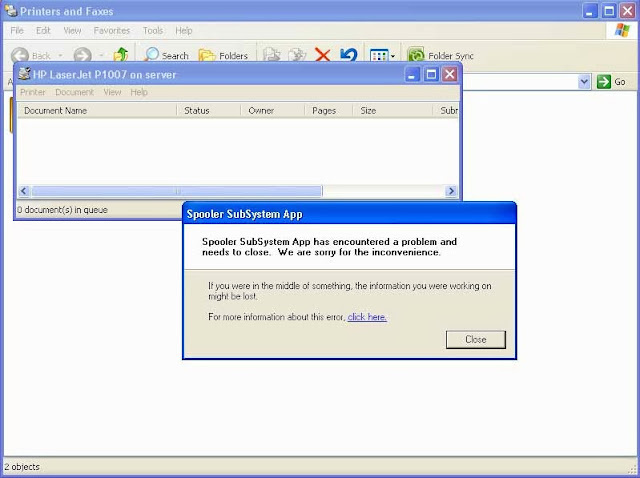 Now you will not get any error message on your computer regarding Spooler subsystem.